With the holidays still winding down this week as we advance toward the new year, there’s not a whole helluva lot going on in the comic-book world, at least not when it comes to new issues hitting shelves. Thankfully if you’re craving reading material, you’ve got two new series that very well might be worth your time. First up, IDW Publishing and Boom! 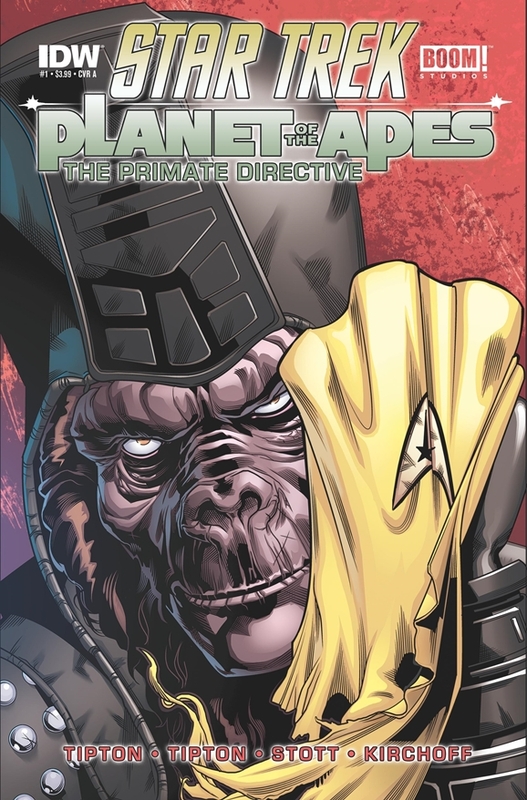 Studios are teaming up with the first issue of their Star Trek/Planet of the Apes crossover series. 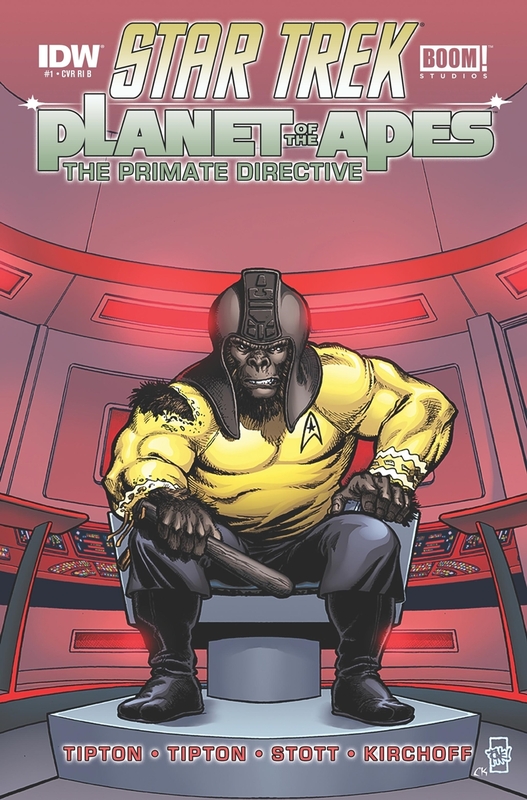 Your reaction to the fact that it’s subtitled The Primate Directive should determine whether or not this one should be on your pull list. It’s the crossover nobody ever expected! STAR TREK: The hope for the best of mankind’s future! 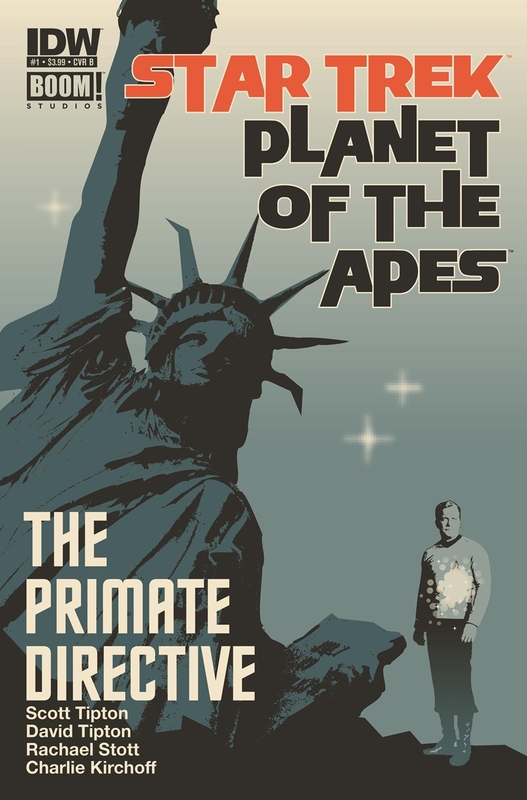 PLANET OF THE APES: A chilling look at the fall of humanity! How could these worlds possibly collide? 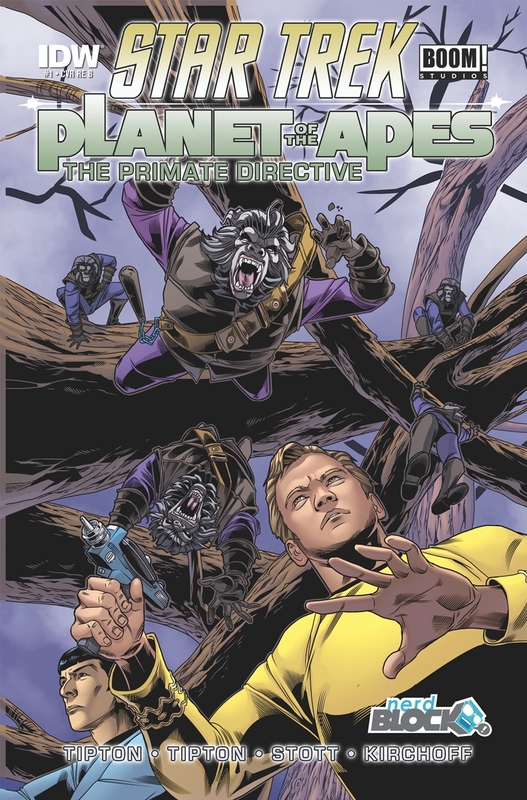 What could possibly cause Captain Kirk and the crew of the Enterprise to side with Dr. Zaius to protect Ape City? And what does Colonel George Taylor have to say about it? It’s a madhouse! A madhouse!! You can check out some variant covers below. If a Trek/Apes pairing isn’t your bag, you could instead grab the first issue of Marvel’s new S.H.I.E.L.D. 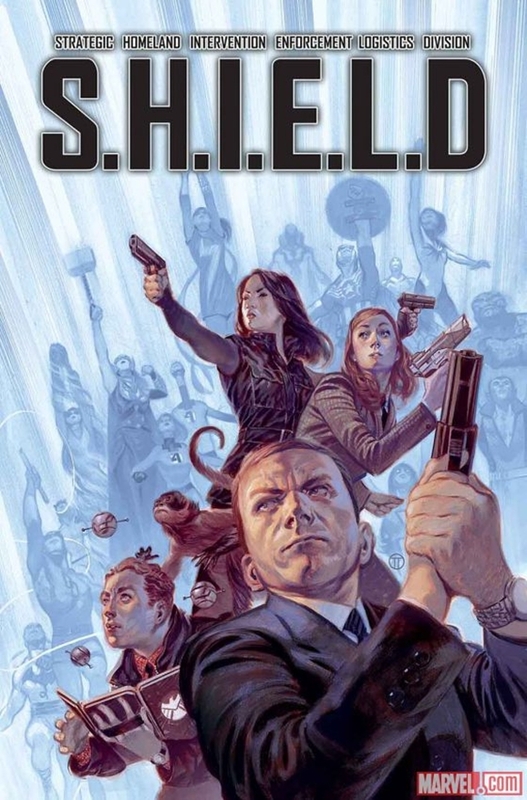 series, which brings Agent Coulson and the crew from ABC’s Agents of S.H.I.E.L.D. into the comic-book universe. High-tech weapons. High-stakes missions. High-octane adventure! For the men and women of S.H.I.E.L.D., it’s just another day in the field! Special Agent Phil Coulson brings together the best and the brightest, the gifted and the elite, normal people and superhumans from across the Marvel Universe on an as-needed basis to confront, combat and curtail dangers beyond the scope of any conventional peace-keeping force! Writer Mark Waid (DAREDEVIL) and a rotating crew of mission-specific top flight Marvel artists make you one promise: Every issue: Twenty pages. One mission. Unlimited budget. Unlimited imagination. Six periods. And a helper monkey. Welcome to Level Eight. Welcome to S.H.I.E.L.D.